Before I became a parent, I was a relatively calm person. Sure, I had my moments, but I’ve never yelled so much in my life until having children. Now, if I can make it through the day…heck, if I can make it through a couple of hours without yelling, it’s a miracle. If you’ve read this blog before, you know I’ve wrestled with Mom Guilt over the yelling. I try so hard to remain calm, but my boys seem to know exactly which buttons to push at exactly the right time. Yelling isn’t helping anyone in this house. It’s not making me feel good, and the boys aren’t behaving any better. In fact, they all have been very challenging lately. In an effort to improve behavior in this house from everyone (me and my husband included,) we’ve instituted a “no yelling” policy this month. It’s only been a week, and already it’s taken every ounce of my patience to follow-through. 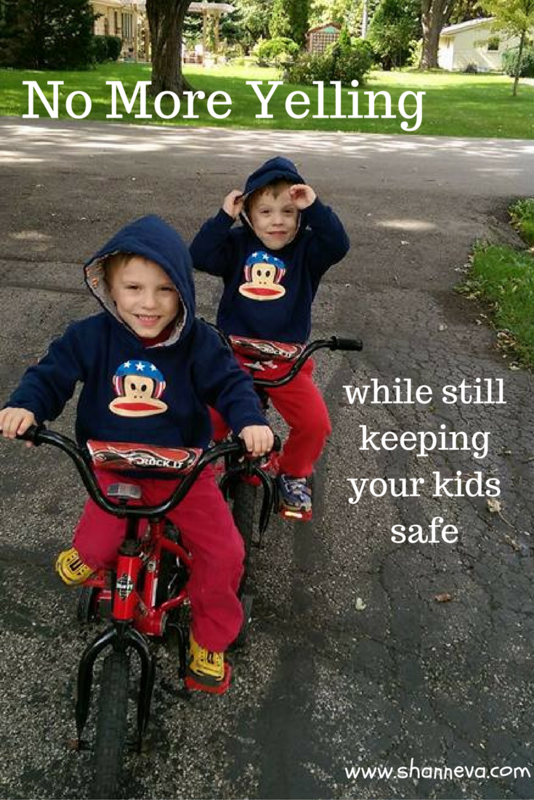 Not only do I have to stop myself from yelling when they individually do something bad (like wipe their nose for the 100th time on the couch, purposely dump out their entire train set, or slam the door,) but then there’s the punching, biting, scratching, jumping, wrestling, and sitting on each other. Sometimes it’s all in good fun. Sometimes it’s not. Someone always ends up crying no matter what. My kids are just loud. They don’t get the concept of “inside” voice or whispering. They have one volume, and it can’t be turned down. I usually feel like I need to yell just to be heard. They all like to talk, and their talking voices are just loud. They talk even louder over each other, and if I try to get a word in, I’m practically yelling already. Plus, did I mention no one listens? Just loud talking. All. The. Time. The twins still run…into the street, into traffic, into people. They also run away from me and in opposite directions from each other whenever we are in public. In order to get them to stop, I am always yelling and chasing them. The people at our gym, in our neighborhood, or actually anywhere in public, probably think I am just a crazy person. Who is always in a hurry. Until they see my children, and think I’m a terrible mother. Yelling doesn’t always stop them from running, but I get so scared that I can’t help myself. I always love a good challenge (you can read this post HERE,) so thinking of this month as a challenge really helps me. Another thing that has helped me? I’ve lost my voice! The timing couldn’t have been better. I, of course, would rather not be sick, but not being physically able to yell, or even talk, has really showed me how much I rely on it as a form of communication. It’s just got to stop. No matter how much I want to react to a situation, I’m trying to be more calm about it. To do that, I find that I need to take a lot of deep breaths. A LOT. If I just stop for 5 seconds before reacting, I give myself a chance to calm down. Kids definitely feed off of your energy. With our boys, we’ve tried both a reward system, as well as a discipline system. I’m honestly not sure what works best yet. Right now, my husband has the three strikes rule. Each time you get a mark for bad behavior, it’s a strike. When you reach three, something gets taken away, or you’re not allowed to go somewhere fun that we’ve planned. If they don’t get three strikes in a day, then they get a reward. Right now, it’s usually a piece of candy. Does anyone else still have a mountain of Halloween candy? The key to this one is really following through. Both my husband and I need to be kept accountable too, so we’re watching each other. It really helps to have another set of eyes on you. Sometimes, I don’t even realize I’m yelling. We have a “Yelling” jar. Each time one of us raises our voice, we put in some change. 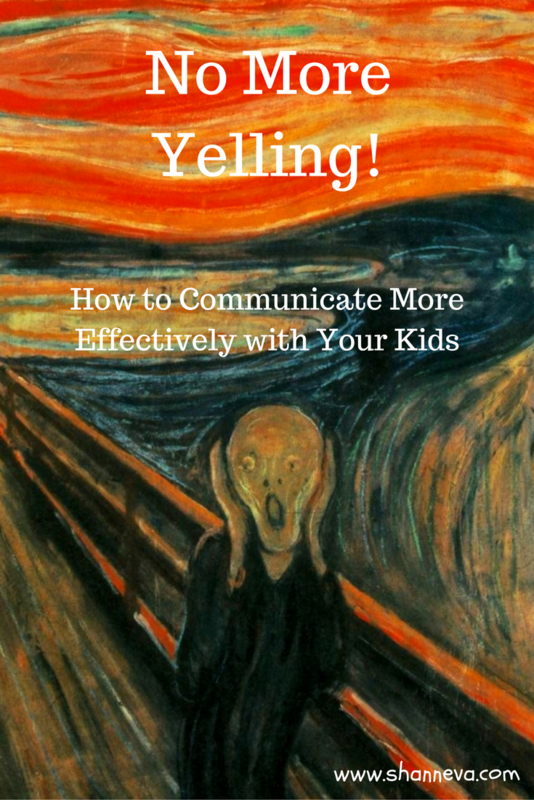 Instead of waiting, and then resorting to yelling when my children run into the street, have a fit in public, or have a wrestling match in the living room, I’ve been trying to talk to them about it and what I expect. For example, when we went outside to ride bikes, I asked them not to ride into the street until we were all ready. I said I would then go with them, so they were allowed to do it. I also talk to them over and over about how dangerous parking lots are while we are in the car, and I tell them they need to behave while we are at playdates, parties, etc. That three strike rule is definitely in effect out in public. We can just as easily leave somewhere or wait in the car instead of having fun. Obviously, this doesn’t always work, but I’m hoping it will create a habit. Even though I’ve already mentioned this, it’s so important, I had to restate it. All punishments, rewards, consequences, and actions must be consistent. If the kids see that we’re serious, maybe they will take it more seriously too. I know the change isn’t going to happen overnight, but I’m hoping if we keep working on it, and are conscious of it, the yelling will eventually stop altogether. I’m definitely not an expert on parenting or behavior, so if you have any ideas or solutions for me, I’d love to hear them. I love this! I don’t have kids…yet. But I am for sure taking notes and bookmarking things!! I think this is a great (but challenging!) experiment and I will definitely look forward to hearing about how it went at the end of the month. I think it’s great that you’re trying this! I can understand how strong that urge can be, even though my experience is just as a nanny and teacher, especially when you think they may be putting themselves in danger. Best of luck!